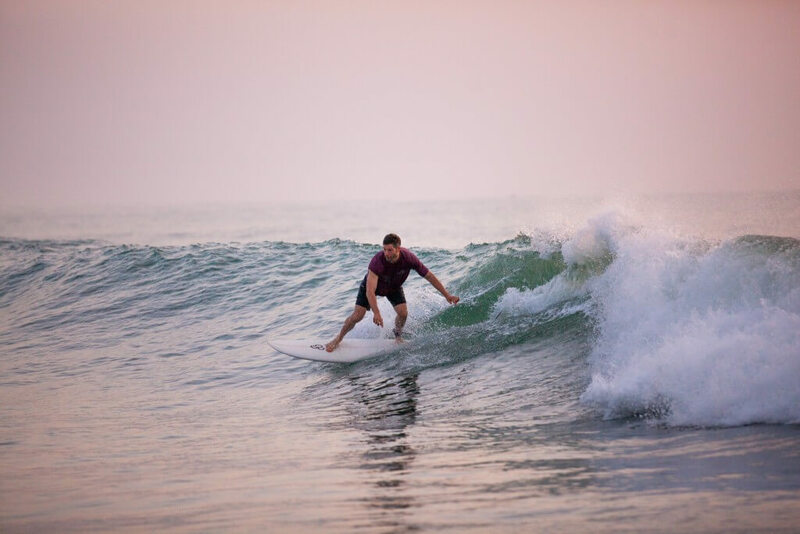 You must have already heard about Arugam Bay being the surfer’s paradise in Sri Lanka. If this is where you want to spend most of your time in Sri Lanka, Paper Moon Kudils is the place to stay. 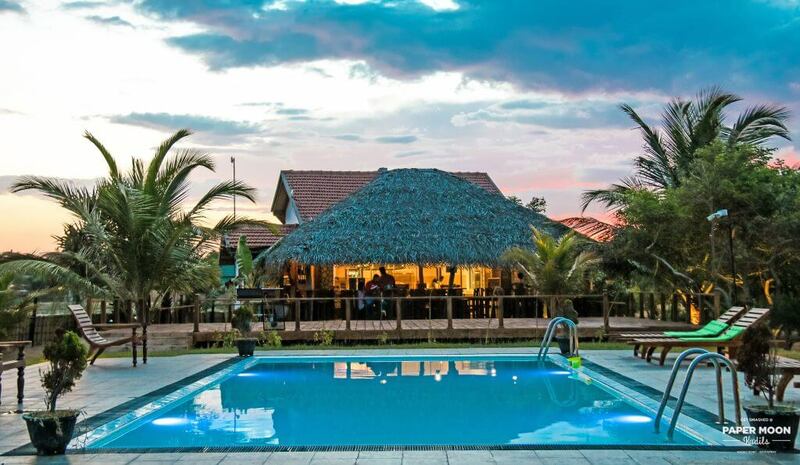 Beautifully located along the coast of Whisky Point – a popular spot in Arugam Bay, this hotel is away from the crowds, yet just ten minutes from the main road. The main attraction of the Paper Moon Kudils property is the openness and undisturbed views of the ocean. While whisky point is ideal for beginners, Puttivil Point – the spot for advanced surfers is also very close by from the hotel. ‘Unconventional’ is the concept preached at the Paper Moon Kudils community where everything is done differently. 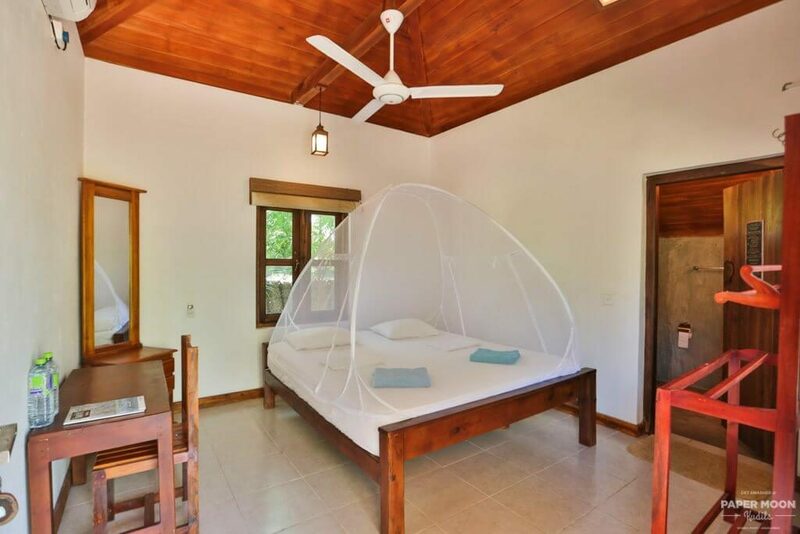 While there are a few friendly faces around when you need some help, there are also a few DIYs to make note of for an energy efficient and environmentally friendly way of holidaying in Sri Lanka. 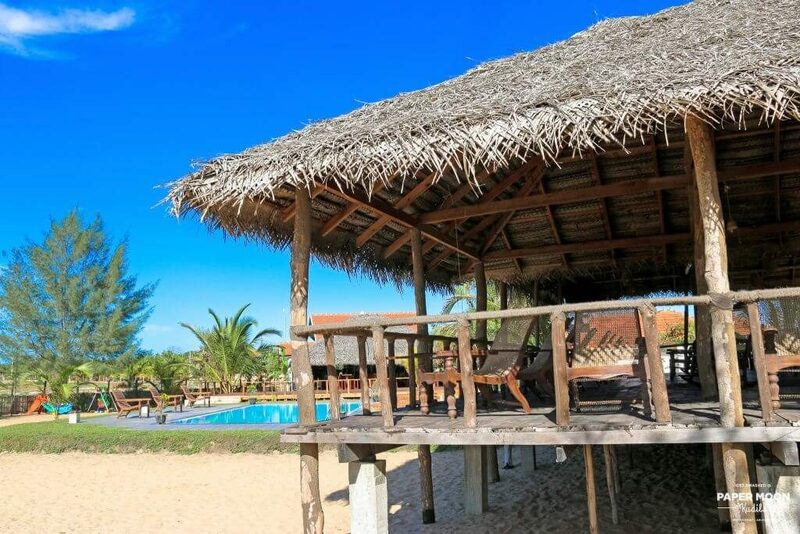 This beachside getaway consists of a cluster of rustic ‘kudils’ or traditional living spaces that encourage a charming way of life, while the laidback beach atmosphere offers guests the opportunity to let loose and embrace a simple beach lifestyle. 20 kudils accommodating a maximum of three people each, are large and spacious, consisting of a verandah and an attached bathroom. A comfortable king size bed is provided in each room along with air conditioning and fans. Although there is no room service, you can get hold of one of those friendly faces for any special request. For simplicity and efficiency, the staff changes the linen and towels once every five days and a broom is kept in each room for guests to sweep away the sand whenever needed. The rooms do not have any phone lines but you can walk up to the restaurant if you have any such requests. The word ‘kusini’ means kitchen in Tamil. The tastiest of meals are served here with interesting twists to popular Sri Lankan meals. Some flavorsome dishes you should try are the Urani Burger, Urani Healthy Special and Urani dinner – these will definitely leave you wanting for some more! Another must try is the fresh seafood prepared in any way you like. Once again the Kusini also present a laid back ambience with relaxing music and an open kitchen concept so you can enjoy the action of another’s meal being prepared while you enjoy yours. The hotel offers Wi-Fi only in the restaurant area. 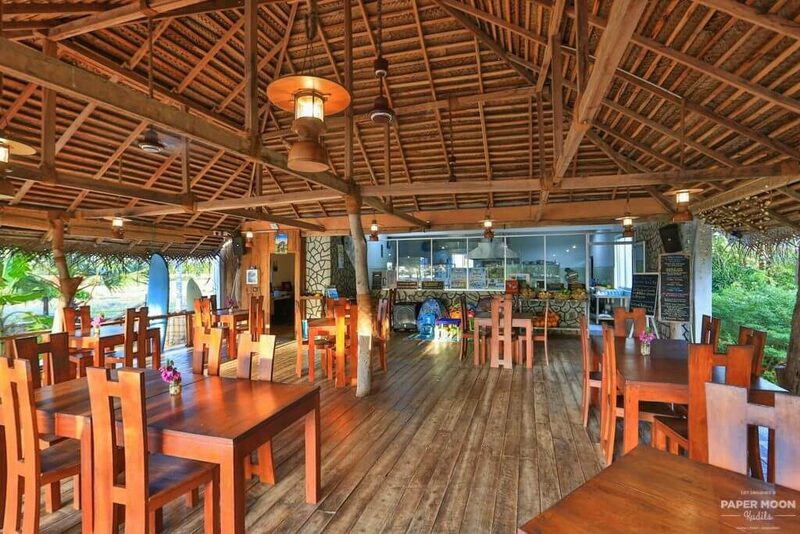 Kadal is the Tamil word for sea and the chill-out lounge at Paper Moon Kudils is named just that. Guests simply love this lounge for its breathtaking view, hence making it ideal for lazing away their time, napping, relaxing or reading a book. The comfortable rocking chairs placed at the lounge also encourage snuggling away for hours. This is the hotel’s swimming pool where you can enjoy a long soak and views of the ocean once you’ve had your daily dose of surfing. 30×15 feet is the size of the pool with a flat 4 feet depth – ideal for working up an appetite before you head to the Kusini or simply take a break from lounging. 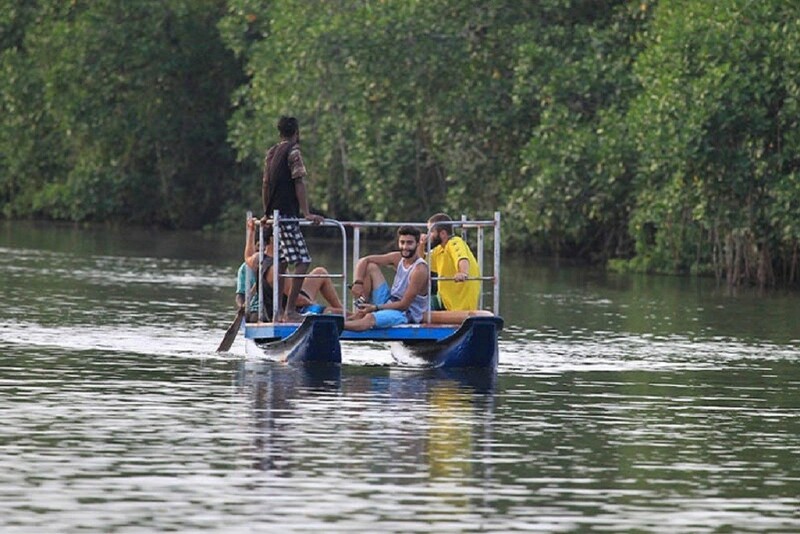 Apart from surfing and being yourself at Paper Moon Kudils, the hotel also organizes transport to neighboring explore Sri Lanka activities such as wildlife safaris, visiting historical sites, boat rides, and other such excursions. On request, transport to and from the international airport can also be arranged.